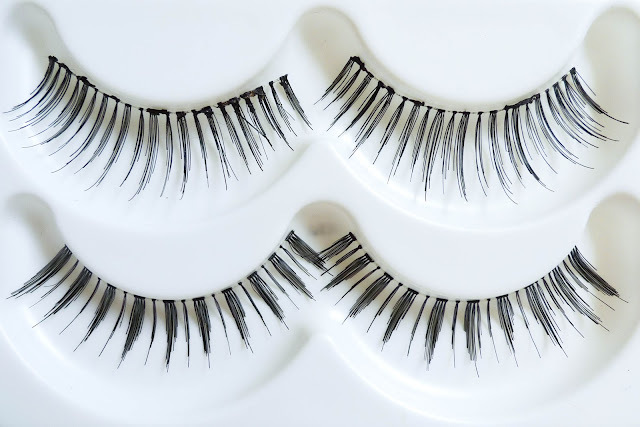 They are very easy to apply, look natural on the eyes. Their bands are bandable but at the same time have a toughness to them so they stay put (think the cheap ones that often flips up after application). Like my to go eye shadow palette from Canmake (review HERE), princess lee lashes have been my to-go lashes for a good couple of years. No. 7 is shorter while 8 is longer. Yet they are both fluffy and not over the top long for my asian thick lidded eyes. They might be hard to find in the US. So if you are interested in buying them, check Sasa / Bonjour HK / Colormix or sellers on eBay. They are about US$10 for a box of 10 pairs. Below wearing 07 and 08 respectively. 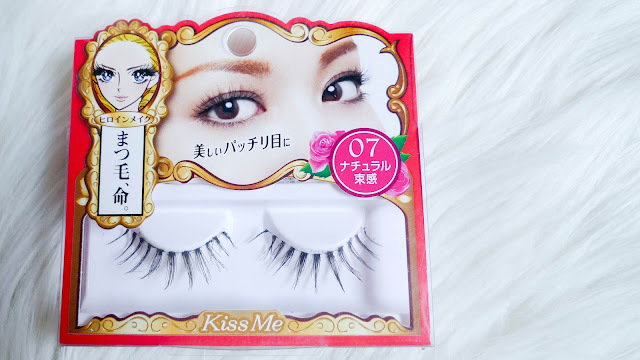 These are one of the new-er release of the Dolly Wink S/S 2012 collection, and as you can see, the designs and packagings Tsubasa designed are a lot more "natural" and less pink kawaii in your face. No. 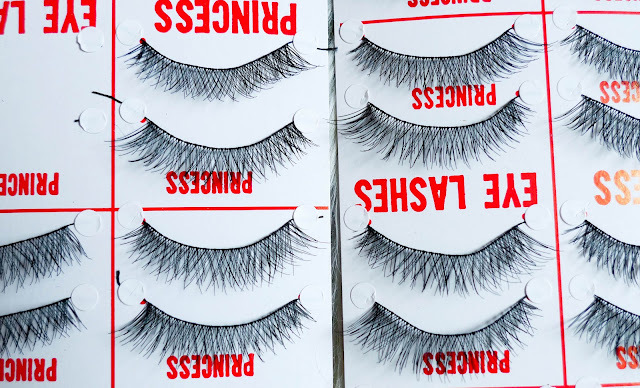 9 is the most natural lashes compared to the ones in the new release I could find. The clear bands again do a wonderful job sticking to my lash line. They are of very high quality however they look extremely natural on my eyes. The clear bands are also hard to keep after 2 uses. 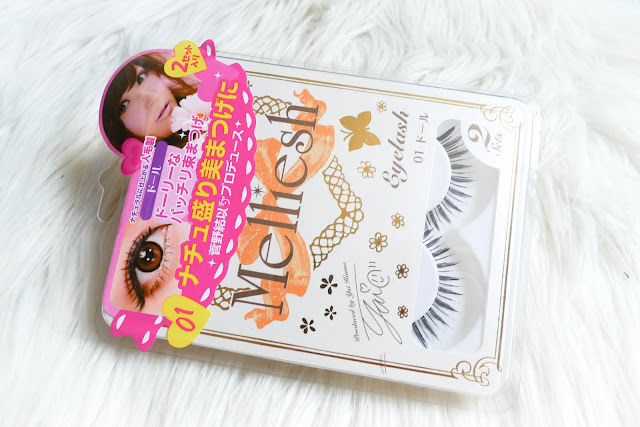 For the price point I actually prefer lashes that are less delicate. I found them for about US$15 at City Super / Log-On, as well as eBay. These are the more spiky ones (very in this year in 2012!). 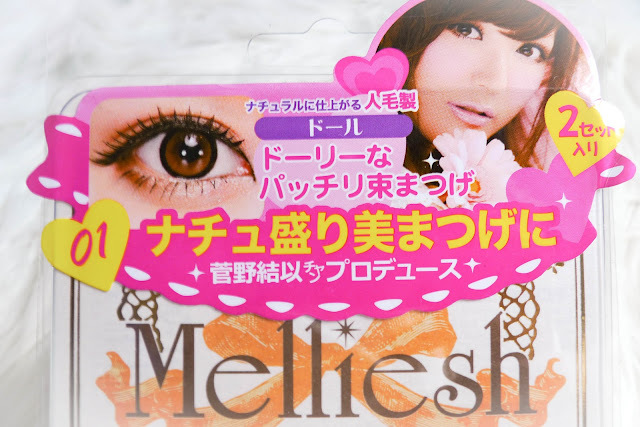 Melliesh lashes are very easy to work with, very high quality yet affordable (2 pairs for US$5!). My best friend introduced this to me actually and sometimes what I do is to get two boxes and swape out one of the pairs in the box so we both have a mix of two styles. No. 2 is longer but less dense and no. 3 is shorter but with "thicker" bunch of bristles (can I even say that?) They both bring a dolly effect. Or, if you are THAT lazy again, watch this video. Just kidding, no offense dude. What are your favorite ones?? spends in the water, allowing more time to transfer oxygen to the water. Thajk you for the auspicious writeup. It in reality wass once a enjoyment account it. step before bidding on any of these keywords is to make your website relevant in the eyes of Google. Just want to say your article is as astonishing. The clearness to your post is simply excellent and i could assume you are an expert in this subject. de signer quelques sourit rien n'est laissé maison et l'oblige non seulement.